Let me ask you this; what's the difference between a kid's movie and a family movie? On the surface, both of those terms might seem interchangeable. A movie that's for kids is theoretically appropriate enough for a whole family to watch, but there's a lot more to it than that, at least in my opinion. Sure, a family could get together and watch The Angry Birds Movie, but unless your mom or dad loves watching green pigs shake their butts at a camera for 90 minutes, it's not going to be enjoyed by everyone equally. In my eyes, a good family movie is one that every member of a family could enjoy together but for completely different reasons. Case in point, I would argue that a lot of anime movies would qualify as great family films. 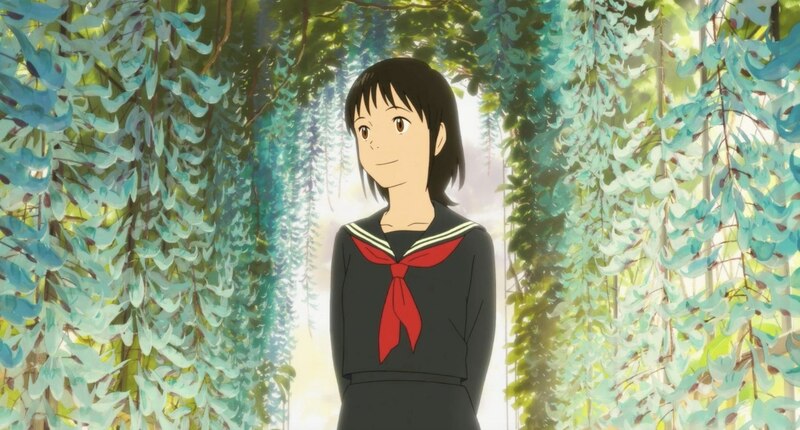 Movies like Kiki's Delivery Service, Spirited Away, Ponyo, and Mary & the Witch's Flower are all fantastic movies that can entertain kids with their pretty visuals and fun characters, while adults can enjoy them for all of that and the themes those movies tackle. There's no inappropriate language if you're a stickler about that and the messages are always positive and healthy for a developing child. I feel fairly certain that I can call Mirai a great film for little kids that parents can watch with them for a family movie night. 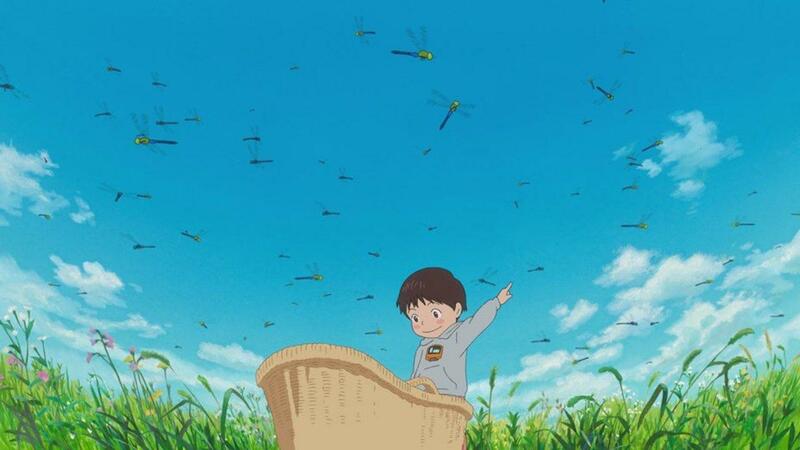 Mirai is a very simple story about a young boy named Kun. He's four years old and lives with his mom and dad, who both love him very much. One day, his parents come home with his newborn baby sister, Mirai, and suddenly his word is thrown upside down. He has to be a good big brother, but he still wants his parents to pay attention to him. He wants to go back to the way things were before Mirai came, so he lashes out, and whenever he does lash out, he's visited by members of his family from both the past and the future, most notably Mirai, appearing to him as a teenager. And so Kun has to learn to be a good big brother to Mirai while also learning how to grow up himself. The best word I can use to describe Mirai is "pleasant." It's a very simple movie that takes place almost entirely in a small house, but the movie has such a cozy vibe to it that it almost feels like the movie is in your home. You really get to know how Kun's family acts and all of the little bits of info that don't do anything to inform the plot, but still paint a picture of what this family is like. Kun loves to play with trains, his dad's an architect who designed their house, Kun's mom believes in outdated superstitions, and the family buys cheap dog food for their dog despite buying him premium food when he was a puppy. All of this serves to flesh out these characters into actual people since we spend so much time with them. But we spend the most time with Kun, for better or for worse. I'm not going to say that he's the most polarizing part of this movie, because he isn't, but your enjoyment is going to hinge on how much you can tolerate him. As a toddler, he yells, cries, and acts like a brat at his worst. At his best, he's a kind kid, but one that doesn't understand his emotions fully. He doesn't know why he can't be nice to his mom even though he knows he should be or why his parents are focusing all of their attention on his baby sister. He still wants to be a good big brother to Mirai, but doesn't understand the responsibility that entails. In other words, he's a little kid. For me, Kun was a likable main character, but man he has his moments. I lost track of the amount of times he cries and throws a temper tantrum when he doesn't get his way. While it was funny and cute the first time, it became wincing by the end when he cries over the smallest complaint. Yes, it's true to life, but that doesn't make it any less grating to watch. 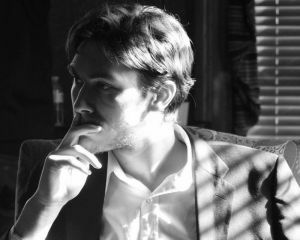 The movie is structured with several vignettes all taking place over the course of a couple of months. Each vignette starts the same. Kun's mom and dad are taking care of Mirai or are going about their lives and Kun gets upset by them. He eventually throws a fit, goes outside, then encounters one of the members of his family from another time period. They then go on a mini adventure, he learns a lesson about how he acted was wrong, then the family all comes together in a positive way. If it seems like something out of an episode of Arthur, minus the time travel shenanigans, you wouldn't be too far off. What separates Mirai from your Saturday morning cartoon fare is both how the movie is presented and the characters involved. While Mirai isn't as gorgeous as Hosoda's previous works like Summer Wars and The Boy & the Beast, it's still a very charming movie to look at. It stays grounded in reality for about 80% of its runtime, but that 20% is really something else. Flying fishes, magical dogs, and a demon train straight from hell with an unnerving attendant that creeped me the hell out are just a few of the visual highlights featured. I did notice that Mirai frequently used CG models of its characters for more complicated scenes and they never looked completely right. Sure, they were animated competently and had stellar voicework all around, but it's still jarring to transition from 2D animation to 3D models for about twenty seconds, only to switch back again. I'm not a fan of CG in most anime (unless it's Land of the Lustrous), and it was done okay here, but it couldn't help but notice it when I see a flat character suddenly gain a dimension. All of the relatives that Kun meets throughout his story are all pretty enjoyable too, with each vignette offering a different genre. When he meets a human version of his pet dog, it turns into a pretty funny comedy sketch. Kun playing with a little girl in the rain is both eye-opening and also a little tragic once you realize who she is. His encounter with a motorcyclist who teaches him how to be confident and overcome his fears is a thrilling scene that made me just stare and appreciate the wonderful atmosphere. This may be a movie about Kun becoming a better brother, but it is an ensemble piece from beginning to end. As I watched this, I couldn't help but make connections to Kiki's Delivery Service, which is one of my favorite Ghibli movies. Both movies consist of small, slice-of-life vignettes that inform a larger story, but it never feels like you're just watching a movie. It feels like you're watching a fraction of these character's lives. Both leave me with a sense of wonder and both had me think about what they were trying to teach. 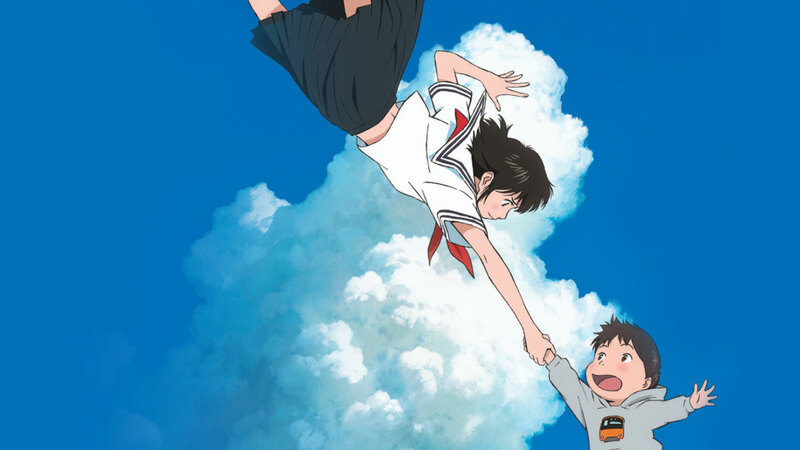 Hosoda loves to talk about families in his movies, and Mirai is a movie not only about siblings but about how family members can influence one another and impact each other's lives through their own experiences. One of my favorite moments of the movie is watching Kun's dad attempt to teach him how to ride a bike, only to flashback to show how Kun's dad struggled and cried over how hard it was for him to ride a bike as a kid. It was poetic and resonated with me more than I ever thought it would. If I had to nitpick one last thing it would be that Mirai is barely in her own movie. She pops up for a big vignette early on, then reappears in the last five minutes to whisk Kun away from the creepy as hell final sequence that may disturb a few kids in ways that you don't see in movies nowadays. She just appears and disappears sporadically and blends in with the rest of the family members. I think that was the point though. This isn't a movie about Mirai. This isn't even a movie about Kun, despite him being the protagonist. This is a movie about his family and how strong the bonds of blood really are. 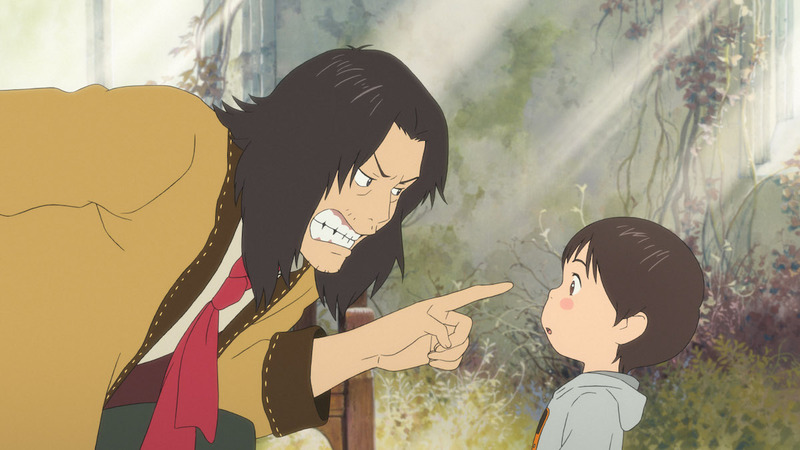 If you've seen a Mamoru Hosoda movie before, all of this is going to sound very similar to you and it wouldn't be the first of his movies I would recommend, but it's a great family movie that parents can watch with their kids that teaches them about responsibility and how strong the connections between family members really are.